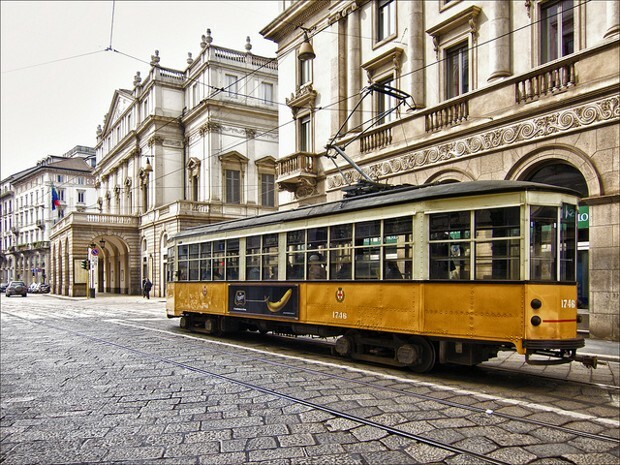 I reported yesterday that Milan and Turin offered cheap public transport during some days in December to reduce the pollution. While these measures are just quick fixes to the problem, it must be noted that Europe is moving towards a future where city centres will be free of private vehicles. These initiatives can be seen, not only in Milan (article in Italian), but in many places. There are congestion taxes in cities such as London or Stockholm and Gothenburg. Oslo claims that private cars will be banned in the central district by 2019 as already reported. Dublin is on the brink of becoming a more pedestrian-friendly capital city, unveiling a €150 million plan to banish cars from key sections of the city centre by 2017. Some other cities like Berlin, Dusseldorf, Stuttgart, Lisbon, Rome, Copenhagen, Prague or Amsterdam introduced Low Emission Zones (LEZ) and allowed only vehicles that follow certain Euro standards inside the zones. Madrid, Paris and Brussels are facing polluting problems which undoubtedly will end in similar measures in the near future.